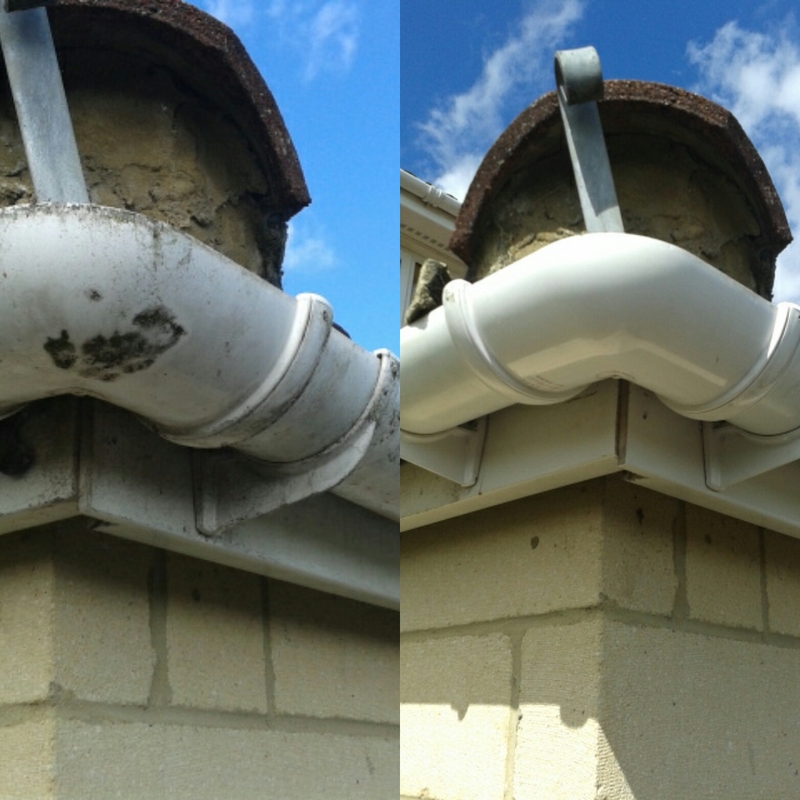 Before and after picture from a gutter cleaning job in Bath. Keeping the gutters of your home free from any blockages is a job that while important, isn’t a particularly pleasant one to perform yourself. Not to mention how dangerous it can be. However, allowing a gutter to remain blocked, and the subsequent overflow that can result during heavy rain, can lead to your property being damaged by damp. B & W Window Cleaners gutter cleaning service will comprehensively clean what is inside your gutter that might create a blockage; e.g. leaves and moss. Another issue with gutters is that even when they are free from blockages, that they and your fascia boards can turn from a brilliant white, to an unsightly green. We wipe down the gutters and fascia boards to restore them as close as possible to that brilliant white. So why not give us a call today to get a FREE Quote.